One thing I love so much about travel is that it provides a chance to meet some really interesting and cool people. 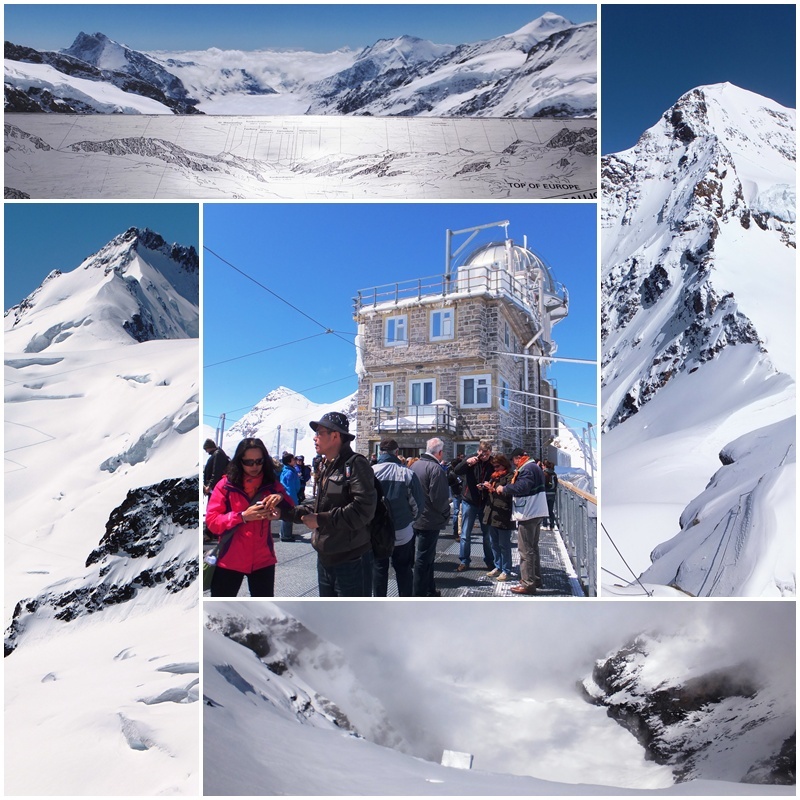 During my recent trip to Switzerland I went on an iconic train trip with the Jungfrau Railways from Interlaken to “The Top of Europe”, the Jungfraujoch – Europe’s highest railway station. My personal guide was Beat Kornfeind, who provided me with awesome information about this train trip, the mountains that surround it (the famous Eiger, Jungfrau and Mönch mountains, all about 4,000 metres high or more) and the picturesque town of Interlaken, which lies at the foot of this impressive mountain trio in the Bernese Oberland. While spending a whole day with Beat, I found out that he had a fascinating background as a tour guide and had spent 15 years leading active travel tours for different companies on different continents. I really enjoyed my day in the Swiss Alps with Beat and in this interview we can all find out more about the global adventurer – Beat Kornfeind. Please tell us about yourself. Where are you from, where did you grow up. Well, I was privileged to be born where lots of other people come to spend their holidays, in a place called Interlaken (from Latin: “Interlacus”, which means situated between Lake Brienz and Lake Thun) in the heart of the Bernese Alps in Switzerland. As a kid I also grew up on the shores of Lake Geneva in the French part of Switzerland in a place called Vevey. Later on we moved to Lake Zurich to a town called Staefa. 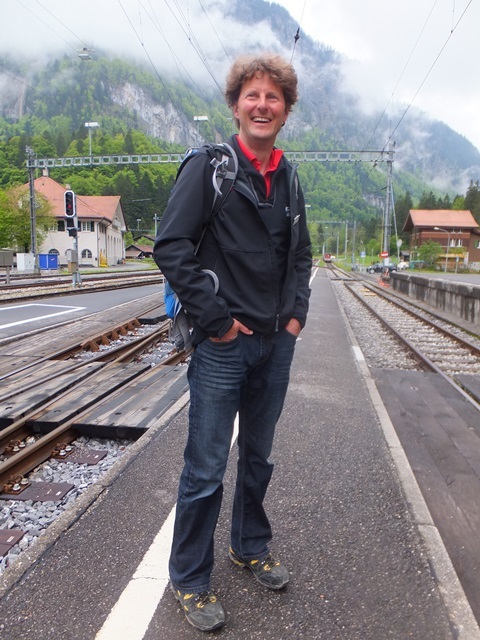 For the last 7 years now I am back in Interlaken, so after many years away I have returned to my roots. Please tell us more about Interlaken. Where is it, what is there to do, what is the town famous for? Interlaken is easily reachable within about 2 hours driving from Zurich Airport. It takes just a bit longer if you drive in from Geneva Airport. 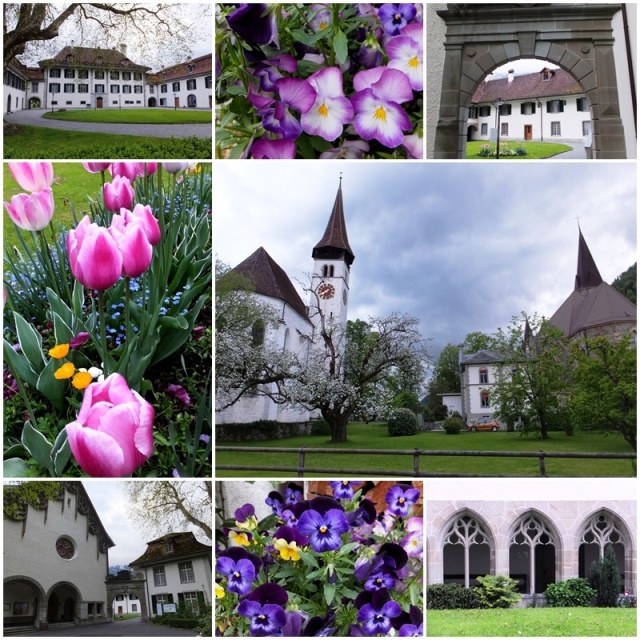 What is amazing is the region surrounding Interlaken: welcome to pure nature. You can go hiking for weeks. Why not stay in one of the Swiss Alpine Club huts. Or spend hours on a mountain-bike (with or without battery assistance…). What about more adrenaline-inducing activities, like paragliding, skydiving, canyoning, river rafting or ice-climbing (also in the summer-time)? Interlaken is a dream for outdoor enthusiasts. In Interlaken itself don’t miss to visit the Harder Kulm, the local mountain next to the town. In just a few minutes, a funicular takes you to the top where you can enjoy a splendid view of the surrounding mountains, the Eiger, Mönch and Jungfrau, which are over 4,000 meters (13,000 feet) high. Early in your working life you started in the banking business. Please tell us about that phase of your life. As soon as your apprenticeship was finished you decided you were done with banking.You worked as a waiter and then as a tour guide. Where did you first work as a tour guide, what kind of tours did you do, and what was the experience like? My work as tour guide all started in San Francisco for a company called Suntrek. We had three weeks of training, which included learning how to fix some parts of the van, which we drove ourselves. My first tour as guide and driver lead me all across the USA from “San Fran” to New York. Unforgettable, as I had never been in the States before…I definitely “learned by doing”! Then came Canada and Mexico. Please tell us about that time in your life. The company trusted me more and more and started sending me farther away from the home base in San Francisco…I was able to see lots of bears with their young cubs in the western wilderness of Canada. Or on the other side of the country, in Newfoundland, I got to see 10,000 year old icebergs floating in the sea. Australia is one of your favourite countries and you spent a few years there. Where did you live, what did you experience, why do you like Australia so much? You also spent some time in New Zealand and still have a bicycle today that dates back to one of your early trips. Please tell us more. Australia will always be in my heart, especially the north-western part of this huge country. I am fascinated by the vast landscapes which are full of kangaroos and wallabies, “salties” and “freshies” crocodiles, snakes and spiders, so many kinds of birds, waterfalls, etc. I loved to stay for days out in the bush. I didn’t have a home-base down-under. Home was the bus I drove for my guests, a campground or a hotel room. New Zealand is also a real highlight. Twenty years ago, in 1993 (!) I bought my trekking-bike there, which still takes my everywhere. I even went twice across New Zealand from one side to the other with my bike. This same bike I will take on my upcoming adventure to cycle from Colombia to Ecuador in the summer of 2013. Please tell us about your time with a German tour company that specialized in hiking and biking trips. You explored Scandinavia with them. 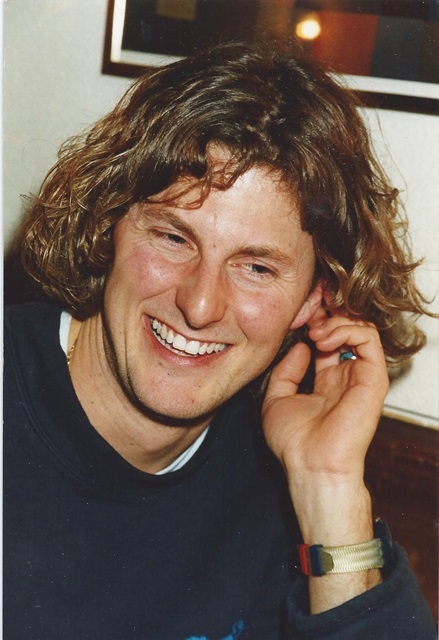 For more than 10 years I worked as a tour guide for Wikinger Reisen, based in Germany. I was able to spend time in Laponia (parts of Sweden, Norway, Finland and Russia), a vast landscape up in northern Europe. It is the homeland of the Sami people and their domestic-animal, the reindeer. I will never forget the night when they took me out to show me how they mark the young deers. First they had to gather them all together. This was done with squats (a four-wheeler motorcyle) and a helicopter. Each of the animals got a unique mark in the ear, i.e. a pattern is cut out to distinguish them. 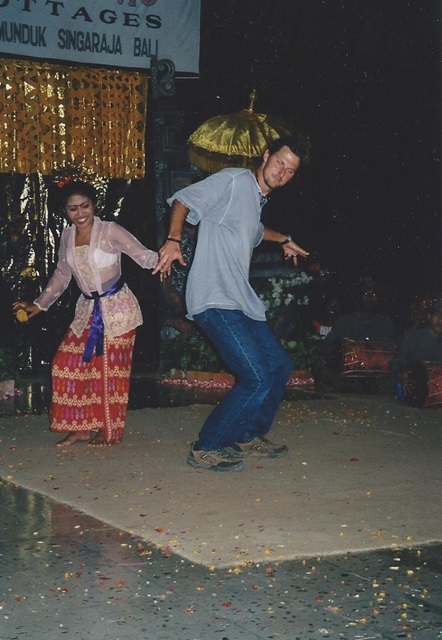 What was it like, working for 15 years as a tour guide, what kind of lifestyle did that entail? What do you think makes a successful tour guide? Being a guide was like being free, not having the day-to-day problems from back home, like annoying neighbours or so on. To be honest, it was an escape from those day-to-day problems. Tour guiding also involves “being everywhere and nowhere”. I didn’t have any kind of home base for nearly 15 years. Vans, campgrounds and hotel rooms were my home, if you can call that home. I would say a successful guide is a person, who can feel what the guests want (for example knowledge about plants or animals). Also just listening to their problems from back home helps a lot…I realized every morning that, as a tour guide, I am in the privileged situation of being able to give my guests a memorable holiday. 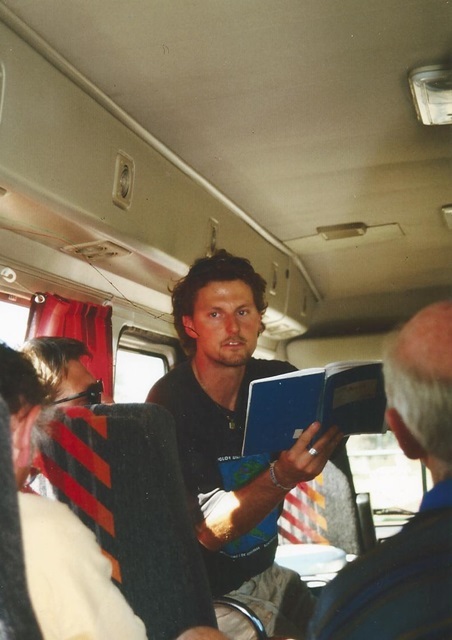 Let me give you an example: during the long days sitting in the bus driving through Australia we sang together many traditional songs (with a German translation). The last day on the way out to the airport I put on those songs on again. Looking in the rear view mirror inside the van, I saw many guests with tears in their eyes. This was pure emotion – something they will never forget. Please share with us the 3 most memorable moments as a tour guide. Seven years ago you decided that you wanted to return back to your roots and came back to Interlaken. How did your re-entry into a settled lifestyle in your hometown unfold? I understand you left again for a short period to work as a ski instructor? 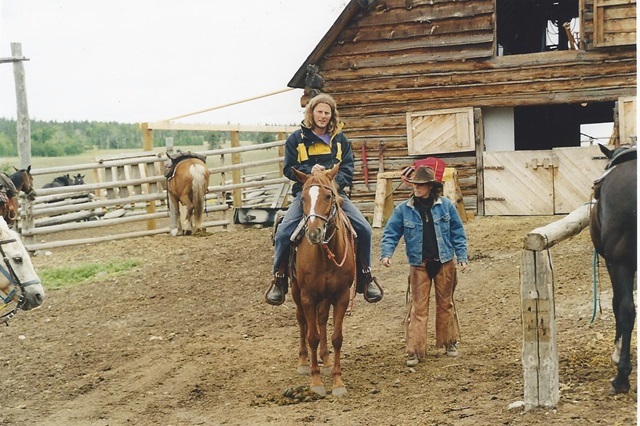 Please tell us about the challenges of changing from a nomadic life on the road back to a settled lifestyle in a small town. That wasn’t easy at all. Suddendly I was back where I was born but still a stranger. And then there is my new work: I have to deal with only four weeks holiday a year! You also transitioned into a new career, working with disabled people. Please tell us about your job as a residential group attendant. Why does that job mean so much to you? This job means a lot to me because it has quite a few parallels to the work of a tour guide. In my job I also need lots of patience. And then there are the working hours. I don’t have a regular work day, Monday until Friday, 8:00 am till 5 pm. I work irregular hours, also on the weekends. A normal working day means for me 6.30 am till 11 am and 4.30 pm till 10 pm. In the winter time for example, I am off between 11 am and 4.30 pm. During those hours I can go skiing, snowboarding or ski touring every day. That’s quality time, isn’t it? Nowadays, you are also a guide with Jungfrau Railways. What does that entail? How do you integrate adventure into your new settled life? What kind of unusual places have you travelled to in the last few years? What kind of activities do you pursue in Switzerland? Well, once you are infected by the travel bug, believe me, you can’t stop anymore. Since I am back in Switzerland I visited with my Dutch girlfriend places like Cap Verde, Sri Lanka and La Réunion. Once we cycled within 14 days from Interlaken to Vienna in Austria (1300 km.). At home I love to train for mountain marathons, like the most beautiful marathon on earth, called the Jungfrau Marathon (www.jungfrau-marathon.ch), right outside my door step. Then from May till June, after the ski-season, there are lots of high altitude ski touring places around Interlaken that beckon to be discovered. In the very near future you are planning an exciting trip to Colombia and Ecuador. Please tell us more about this trip. With my best friend Klaus from Germany, who I met in 1993 in Australia, we will cycle from Bogota, Colombia, to Quito, Ecuador. We have four weeks time for to cover 1400 km. That should give us enough time to do some detours to different national parks in Colombia. We don’t have any exact plans and only know the date of our return flight at the beginning of August 2013. 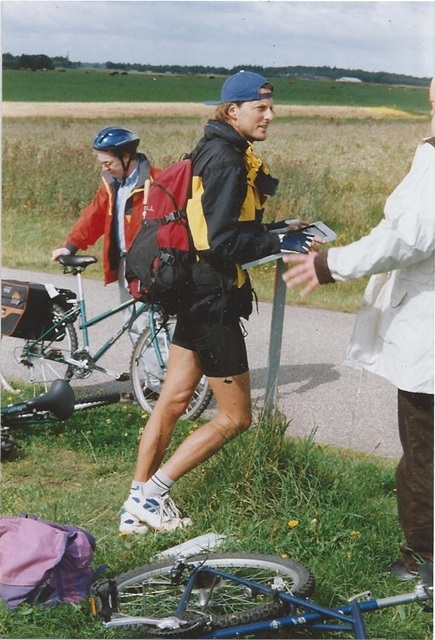 And, as I mentioned above: I’ll be doing this trip with the same trekking bike I bought in 1993 in New Zealand. Happy 20th anniversary to my bicycle! 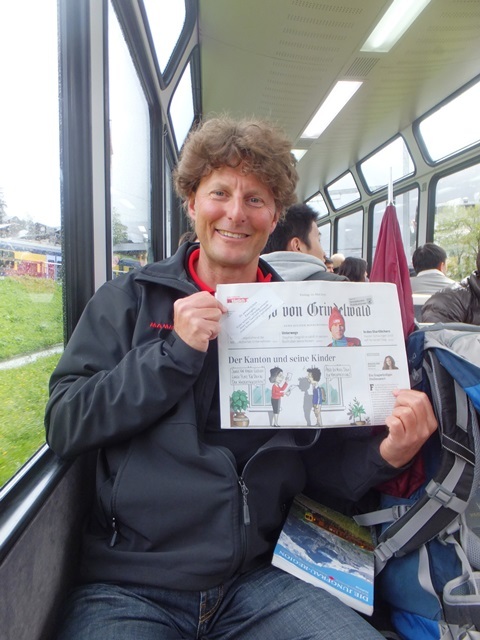 Thank you, Beat, for taking your time and telling us about your interesting and adventurous life and for sharing information about the Interlaken region. We wish you all the best for your upcoming trip to Colombia and Ecuador and hope to hear from you when you return.